ICTR, along with its Marshfield Clinic Research Institute partner, offers a variety of courses, workshops and presentations on specific topics related to clinical and translational research, including study design, grant and manuscript writing, overviews of conducting clinical and translational research, stakeholder engagement, biomedical informatics, and qualitative research methods. Many of these resources are housed online, either as training modules or as archived videos and readings. The Basics of Conducting Clinical Research at UW-Madison course offers information to both new and experienced research staff that can be applied during their daily activities while conducting clinical research within the UW Health environment. This course is available online through Learn@UW and is restricted to those with a UW NetID. Although this training has been developed specifically to address clinical research conducted within the UW Health environment, most of the content is applicable to all UW clinical research settings. To enroll in the online training course, go to: https://canvas.wisc.edu/enroll/WBAJ4R and click on the “Enroll in Course” button. Click the “Go to your Dashboard” button. Select the “Basics of Conducting Clinical Research at UW-Madison” course available on the bottom of the screen to get started. This video is for training current or prospective Data Monitoring Committee (DMC) members. To access the complementary video, developed as a joint project between the UW-Madison ICTR and the University of Minnesota CTSI, please register online. This training video features David DeMets, PhD, University of Wisconsin-Madison, and James Neaton, PhD, University of Minnesota. The registration link goes to the online training after validating your email address. Following registration, you will go directly to the video. You will also receive an email with a backup link to the online training. Within the video, you can use bookmarks to watch, stop, and then resume viewing at your convenience. The emailed link to the training is unique and we ask you not to share it with others, so we may survey all users in the future. These training modules consist of recorded slide presentations prepared by David DeMets, PhD, Professor of Biostatistics & Medical Informatics. They provide an overview of the fundamentals of clinical trials and can be viewed at your own pace. Note: You will need to have the Adobe Flash Player installed to view these modules. This training module provides a brief introduction on various aspects of clinical trials. This series of lectures covers similar topics as the basics course, but explores each topic in greater detail. If any issues arise with Lecture 3, please utilize the powerpoint slides here. For the 2017-2018 academic year, UW ICTR will host a web-based course from the NIH Clinical Center, Introduction to the Principles and Practice of Clinical Research (IPPCR). The IPPCR course will train individuals in how to effectively conduct clinical research and focuses on the spectrum of clinical research and the research process by highlighting epidemiologic methods, study design, protocol preparation, patient monitoring, quality assurance, and Food and Drug Administration issues. Certificates can be earned upon successful completion of the course and a final exam. There is no course fee. Participants can watch the recorded lectures online at their own pace; there is no fixed schedule of live lectures. Course materials will be available from September 2017 through June 15, 2018. The exam can be taken at any time from February 5, 2018 through June 30, 2018. Details about topics and course objectives can be found at the NIH Clinical Center online. In partnership with the Maryland Center for Health Equity in the School of Public Health, University of Maryland College Park, the Health Equity Leadership Institute (HELI) is an intensive weeklong “research boot camp” focused on increasing the number of investigators, particularly minority investigators, engaged in health disparities/health equity research that are successful in tenure track academic appointments in schools of public health, medicine and other health and behavioral health science disciplines, assisting them in achieving research funding through the National Institutes of Health (NIH). HELI is offered annually in June, with applications typically released in late January. For most up-to-date information on the next iteration of HELI, please visit uwheli.com. The applications for HELI 2019 are now under review. 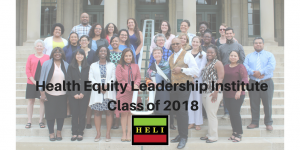 The 2019 Health Equity Leadership Institute will take place June 17-21st in Madison, WI. Learn more on the HELI website. The 2018 ICTR D&I Short Course will take place Thursday, November 1 – Friday, November 2, 2018 in Madison, WI. Full program archives from the 2017 UW ICTR CAP D&I Short Course are available. Speakers featured in the 2013 UW ICTR Short Course were originally part of the 2012 Training Institute for the Dissemination and Implementation of Research in Health (TIDIRH). Video capture & materials from the 2012 and 2013 TIDIRH Institutes are below. Engaging Key Partners to Design & Conduct High Quality Clinical Research is a short course is designed for investigators and research teams who have received, or are thinking about applying for, research grants that will involve stakeholder engagement. For more information, contact Thuy Dan Tran at tran4@wisc.edu. The K writing group is for junior investigators (faculty, postdocs, other trainees) submitting a K01, K08, or K23 application, ideally within the coming two to 12 month period. Participants must have identified a primary mentor who is at the Associate or Professor level, with a history of independent R-level funding. The group is small, eight to 12 participants, and meets seven to eight times over a three month period. The goal of the group is to assist participants with preparation of the non-scientific elements of their K application, namely the specific aims page, biosketch, career development and training plan, candidate statement, and mentor letters. Each session consists of a short didactic portion (20-30 minutes) to emphasize the critical elements of each component and important observations about grantsmanship. Following this, participants read and critique each other’s writing. Current faculty leaders are either Amy Kind, MD, PhD, or Christie Bartels, MD, MS. Drs. Kind and Bartels provide positive and insightful commentary, meant to model appropriate and constructive review approaches for participants. Register online to be placed on a waiting list. Please email Peggy Hatfield about joining a current group. This course is aimed at masters-prepared research staff in the health sciences. Participants work through a 13 module online self-study course, Introduction to Qualitative Research for the Applied Health Sciences, and meet for short lectures and group discussions. Participants complete one practice data collection activity (an interview or an observation) and a developmental assignment in which they write a mini-proposal. Upon completion of the training program, participants will have a basic understanding of qualitative research approaches, recognize the kinds of research questions to which these approaches are appropriately applied, be familiar with the main data collection methods used for qualitative work, and have some familiarity with data analysis. As part of a research team, they will be well positioned to contribute to study design, proposal development, and manuscript preparation. Participants who satisfy all course requirements will receive a certificate of completion. ICTR has compiled the following on-line video and/or audio recordings of recent lectures on methods and issues related to community & clinical outcomes research. Collaboration in Research – Interdisciplinary researchers in these videos share insights for developing productive collaborations. Community & Clinical Outcomes Research – The videos in this module provide reasons for the growing interest in Community Engagement and Research, how it differs from Basic & Clinical Translational Research, definitions of terms, methods, challenges, and examples of Community Engagement and Research projects. Community-Academic Research Partnerships – This module offers a foundational overview of community-academic research, approaches, strategies in overcoming obstacles, and research examples. Finding Evidence-Based Research Resources – In this 2-part series, librarian Ulrika Dieterle shares an overview of evidence-based research, including how and where to find evidenced-based materials, the research process, formulating questions, executing effective searches, and evaluating results. Grant Writing – Barbara Bowers and Nancy Kaufman share successful grant writing strategies. They discuss preparing for grant writing, writing the actual proposal, required parts of the proposal, and packaging of the proposal. IRB Issues and Answers – This module was developed for community and university investigators interested in partnering in community-based research. Content includes a video-captured panel discussion of IRB procedures and responsibilities and issues relevant to community-based research. Program Planning and Evaluation – Christine Maidl Pribbenow, from the Wisconsin Center for Education Research, facilitated an overview for faculty and community research partners on the essentials of program planning and evaluation. Research Methods – This module includes data-gathering and analysis techniques for qualitative research and focus groups. Translating Research and Policy – The videos in this module discuss the relationship between research and health policy. Community Engagement and Research in Action – A collection of lectures by various Community & Clinical Outcomes researchers, plus a lecture summary on the introductory page. Community-Campus Partnerships for Health (CCPH) – A nonprofit organization that promotes health through partnerships between communities and higher educational institutions. 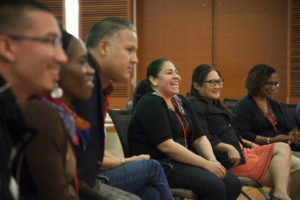 The website is a clearing house of resources on service-learning, community-based participatory research, broad-based coalitions, and other partnership strategies. Cooperative Extension Web Site on Program Development and Evaluation – Provides training and technical assistance for campus and community-based faculty and staff to plan, implement, and evaluate programs. Outreach @ Ebling Library – Information professionals provide workshops on general and specific topics including health information literacy, evidence-based resources, evaluating health information, effective search techniques, PubMed Savvy Alerts, updates and RSS feeds, consumer health resources, information management tools, and public health resources. Ebling also offers a document delivery service for a fee. Webinar: Using Evaluation to Reduce the Burden of Asthma: a Web-Based Introduction to CDC Framework for Program Evaluation – Nationally recognized experts present a general introduction to program evaluation; note challenges in conducting useful evaluations as well as methods for overcoming those challenges; and introduce the six steps of the CDC Framework for Program Evaluation using examples relevant to state partners of the National Asthma Control Program. Wisconsin Partnership Program Web Site – Provides successful grant writing tips, resources on outcome evaluation, resources on evidence-based practices, and data on state, regional, and county health priorities. Quarterly workshops are devoted to the basics of qualitative and mixed methods research. Academic programs, course offerings, reading lists and links to other web sites. Useful for developing, evaluating and engaging in qualitative research projects in healthcare settings. Introduction to the idea of qualitative research and orientation to the major types of qualitative research data, approaches and methods. Interactive, online course on research methods and tools for researchers engaging in behavioral and social sciences research on health-related topics.